Asus has today unveiled its ROG (Republic Of Gamers) Phone. The ROG Phone features Qualcomm’s Snapdragon 845 chipset, a 6-inch 2160 x 1080 pixel resolution AMOLED display with a 90Hz refresh rate with 1ms pixel response time. Further, it sports 8GB of RAM, a 4,000mAh battery, an 8-megapixel selfie shooter and a dual 12-megapixel and 8-megapixel camera setup on the rear. Additionally, the phone features dual front-facing speakers, up to 512GB of internal storage and two USB Type-C ports, one on the bottom and the other on the side. Asus is also launching several accessories that’ll work with the device. The accessories include a Mobile Desk Dock that lets users connect a 4K monitor, Gigabit Ethernet, 5.1-channel speaker, keyboard and mouse. Further, Asus is launching a couple of docks, one to help with Wi-Fi support and the other, the TwinView Dock, includes another display and a 6,000mAh auxiliary battery. 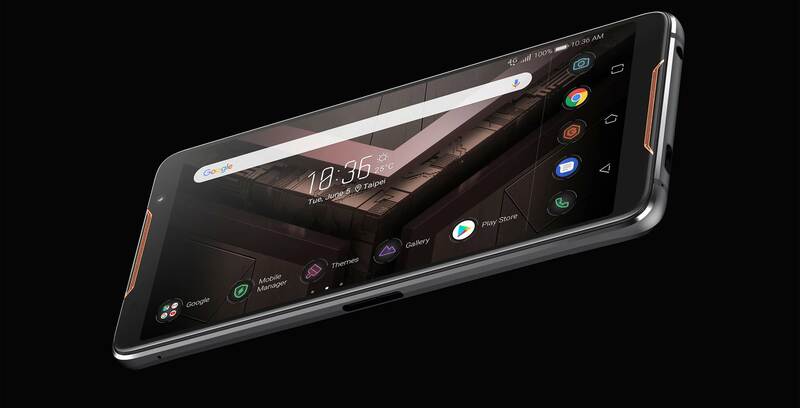 The Asus ROG Phone will be available during the third quarter of 2018 in Canada. The device will first launch in Asian markets before making its way to Canada. The ROG Phone is poised to compete with other gaming focused phones such as the Razer Phone and Nubia’s Red Magic.